By the time you read this, HB2186 may be in the trashcan of the House committee that wrote it. Or, it could be law. For those of you that pay B&O tax, HB2186 was drafted to boost the B&O tax rate by 20%. Wait, there’s more. HB2186 was to also create a brand new tax, a capital gains tax on the sale of a business. And there were some other new taxes on real estate sales and a few other things. Both the 20% increase in B&O and the capital gains tax were our hot buttons. As you know, any other business that pays B&O taxes can transfer the tax to clients by adding it to their bid, to the product they sell or the service they provide. But insurance producers are forbidden from transferring the tax. To us, the B&O tax is an income tax: An income tax applied at all levels of distribution, resulting in a pyramid of taxation. 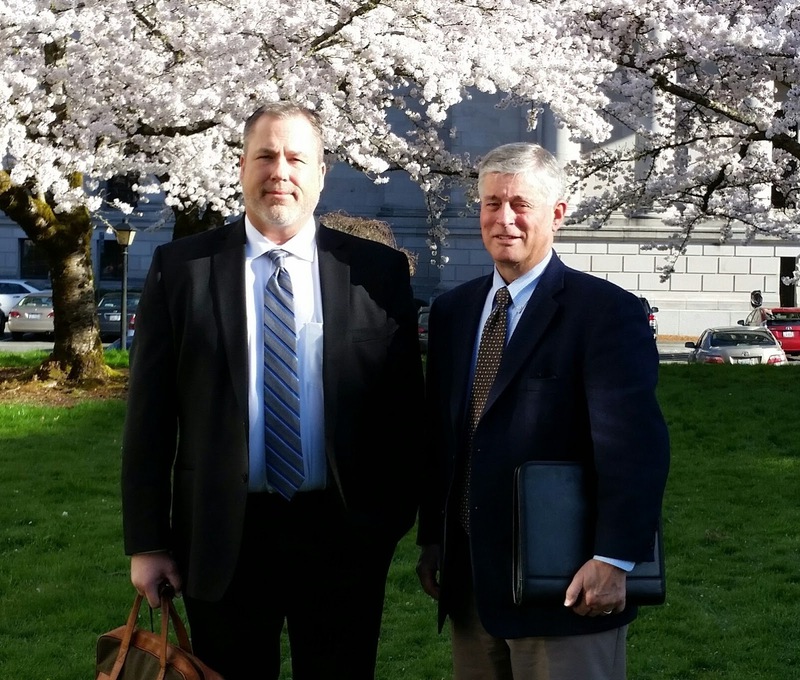 On Friday, March 31st, Lobbyist Mel Sorensen put out a call for a NAIFA producer to testify in Olympia on April 3rd. The NAIFA WA P&D committee were committed to other work so I answered the call. Who better to testify than a “sore arm pitcher” from Fungus Corners (aka, Everett)? I, representing NAIFA WA, joined Keith Wallace of Bellingham, President of WAHU, and Dale Kelly of Roy, past President of the Professional Agents & Brokers Association at the Capitol for the 8AM hearing. Mel got us signed in. He told us the list of people that planned to testify was a long one! It turned out over 100 citizens and businesspeople crammed into Hearing Room A at the JLOB building. More were in a basement room waiting for their turn. First up were citizens with children. Madam Chair called them up so the kids could go outside and enjoy the sunshine (and 38 degree temperature). So the mothers (no fathers that day) each took their turn singing Kumbaya-Tax-The-Rich and had their juveniles read prepared statements about how much they loved their teachers and want the wealthy to pay more taxes. Great. Next up were those that had come the farthest to testify. That was our cue to come forward. Dale was first, I went next and Keith wrapped it up. Now, you have to picture this: Madam Chair and the other 7 House members had just heard from 9 women championing HB2186 and were still glowing from their pleasure of listening to praises for their work to wring more tax money out of the rich white guys. And so three white guys step up to the microphones. Dale spoke of the hardships the additional taxes and the capital gains taxes will place on small agencies in every corner of the state. Most small business owners, in their retirement planning, expect to sell their book. The capital gains tax will cut into the retirement plans of thousands of producers. He also made it clear that insurance commissions are taxed multiple times. 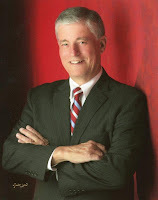 In my two minutes (that’s all the time you get at the microphone) I gave an example of how unfair it is that insurance producers are the only businesspeople that eat the tax because it is forbidden, by law, for us to charge extra or otherwise transfer the B&O tax to our clients. Keith told the committee that the 20% increase in income tax (he reminded them that the B&O tax is an income tax to our service segment) will lead to fewer job openings in agencies. And in fact, it may lead to layoffs. So in about 6 minutes we laid it out for the House Committee and the others behind us about the unfair tax on the producer community. By the way, none of the legislators had questions for us, so we didn’t face a Trey Gowdy. After we left, dozens of other businesspeople echoed our sentiments about HB2186, including other independent insurance producers. Of the 100 or so people that testified, not many repeated the mantra of the first 9 women. However, later that day the committee approved the bill as read which means it will go to the floor of the House. It may pass, but there is a chance the bill will die in the Senate. Again, there are only a couple of weeks left in the 2017 Session. If you get this newsletter before the floor vote, call, email, fax or visit your legislators, both House and Senate, and ask them to oppose the B&O tax hike and capital gains tax. Silence is perceived as approval.